1) Sermon on the Mount (Matthew) Jesus is up on the mountain and His disciples came to Him. He began teaching His disciples. Jesus uses the word “theirs” indicating a community, but in Luke He uses “you” indicating individuality. In the Sermon on the Mount, Jesus gave nine beatitudes. Nine is the number of the Holy Spirit--there are nine gifts of the Holy Spirit and nine fruit of the Holy Spirit. It is the Anointed Word that will build God’s Kingdom on earth. In other words, Jesus, the Word, and the anointing of the Holy Spirit will together build God’s Kingdom on earth as it is in heaven. In the Sermon on the Mount, Jesus not only taught the nine beatitudes, He taught them about salt and light; fulfillment of scripture; murder; adultery; divorce; oaths; an eye for an eye; giving to the needy; prayer; fasting; treasures in heaven, worry; judging others; asking, seeking, knocking, narrow and wide gates, true and false prophets; true and false disciples; wise and foolish builders. Jesus only spoke of the two ways: the wide and narrow gate; and the wise and foolish builders. Jesus is giving fuller Truth to His disciples than He gave to the multitudes in Luke. Jesus always gives deeper revelation to those who come near to Him. Next Jesus pronounces “woes” -- warnings of the consequences of not accepting Him and relying on riches and physical food. 4) Jesus also talks about those who want everyone on earth to speak well of them. In other words, they seek the adoration and praise of men instead of God. He uses the false prophets in the Older Testament whom their ancestors spoke well of as an example. After His sermon on the plain and the pronounced woes, Jesus continues to teach the multitudes about love for enemies, judging others and a tree and its fruit. Mountains in scripture --All of the various dwelling places of God were on mountains. 2) Abraham offered his son Isaac as a burnt offering for atonement on Mount Moriah--substitute sacrifice for sin. 4) David’s Tabernacle was given by revelation by God with instructions to build it on Mount Zion – new order of worship and praise and new kingdom of David established. 5) Solomon’s Temple built it on Mount Moriah--more permanent dwelling place of God established by the son of David on Mount Moriah. The prophet Isaiah said in 2:2-3: In the last days, the mountain of the Lord’s Temple will be established as the highest of the mountains; it will be exalted above the hills, and all nations will stream to it. Many peoples will come and say, “Come let us go up to the mountain of the Lord, to the House of Jacob. He will teach us His ways, so that we may walk in His paths.” The Law will go out from Zion, the word of the Lord from Jerusalem. Mount Zion is the place of King David’s throne. Mount Moriah faces Mount Zion. Jesus will rule and reign from there just as David did. Solomon, the King of Peace, brought the Ark of God’s presence from his father’s throne on Mount Zion to the Most Holy Place in the Temple. Jesus, the very presence of the Godhead on earth, brought the presence of God into our hearts -- His Temple. It is through exalting Jesus in our words, actions and deeds and thus “walking in His path (ways)” that will draw others to Him. The prophet Micah said in 4:1-3: In the last days the mountain of the Lord’s Temple will be established as chief among the mountains; it will be raised above the hills and peoples will stream to it. Many nations will come and say, “Come let us go up to the mountain of the Lord, to the house of Jacob. He will teach us His ways, so that we may walk in His paths.” The law will go out from Zion, the word of the Lord from Jerusalem. The prophet Micah says the same thing as Isaiah. God establishes His Word with two or three witnesses! The prophet Ezekiel said in 43:12: “This is the law of the House, upon the top of the mountain the whole limit thereof round about shall be most holy. Behold, this is the law of the house.” God’s House is to be a holy house. These prophets connect the “mountain” with the “house.” The Lord's House is established on the mountain. To establish means to make permanent. Jesus continually called His disciples up higher with Him….to the mountain. Jesus will build His House (kingdom) in the highest place. It is a spiritual house, not an earthly house. So in Matthew, Jesus is on the mountaintop with His own, but in Luke He is on the plain speaking to the multitudes, teaching and warning them so they too will hopefully accept Jesus as their Lord and Savior. In Matthew, Jesus is speaking to the “spiritual” man--His disciples. 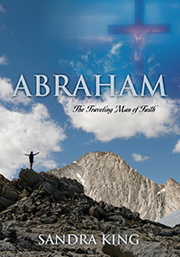 In Luke, He is speaking to the “earthly” man--the unsaved. We must come to Jesus individually, indicated by the “you” in the account in Luke. In Luke, it says that Jesus stood on a “level place” -- a plain (low place). We are all on the same plain (low place) without Jesus. Once we have individually accepted Jesus, we can then become corporately joined with other believers in building His House, indicated by “theirs” in Matthew.